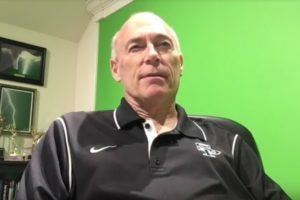 James Spann shares his memories from the March 1993 Blizzard in Alabama. 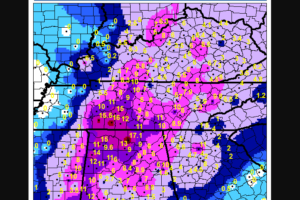 The March 1993 Blizzard was an amazing storm that never be forgotten by anyone who lived through it. The late, great J.B Elliott penned this account on the blog in 2007. 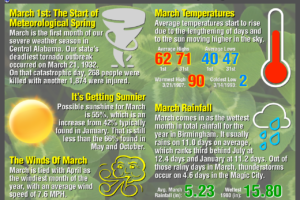 A transition time has arrived in Central Alabama, as we enter the month of March and the start of Meteorological Spring. Using clues from the environment in severe weather situation has helped the NWS Birmingham reduce false alarms. It is a process of continuous improvement. 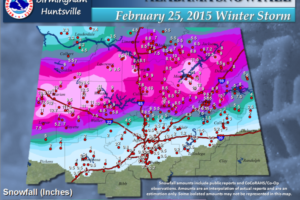 On February 25, 2013, over a foot of snow fell across North Alabama in a historic snowstorm. 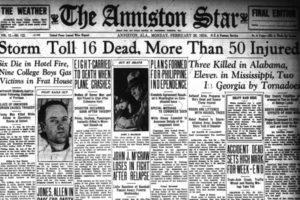 Tornadoes impacted Alabama on this date in 1934, killing at least five Alabamians, including four in Shady Grove in Clay County. 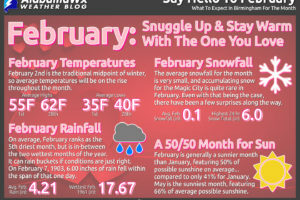 February is the last month of meteorological winter, but astronomical winter doesn’t actually end until March 20th at 5:29 AM CDT. 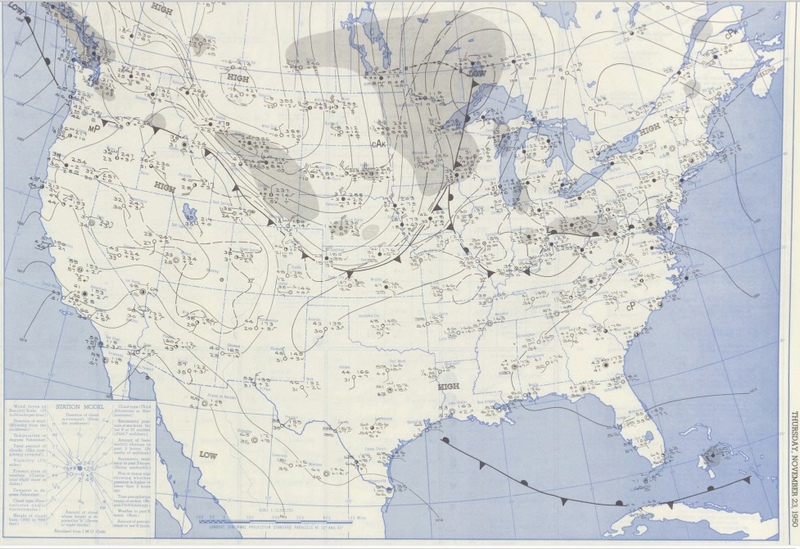 The New Year’s Eve Snowstorm of 1963 dumped 8 inches of snow on Birmingham officially and a state record 19.2 inches at Florence. It also impacted the Sugar Bowl in New Orleans, where Alabama was playing Ole Miss. 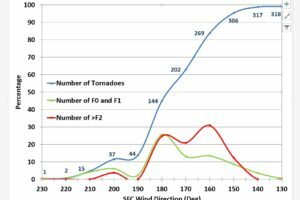 December 2010: A Very Busy Month For Tornadoes Across The U.S.
December 2010 was a very active month for severe weather across the country, with a total of 59 tornadoes touching down throughout the month. We had quite the spread of snowfall amounts from Friday’s snow event, one in which overperformed what everyone was expecting. 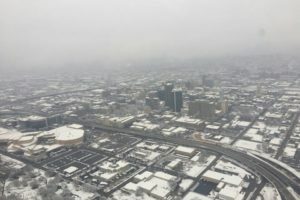 The unofficial measurement of 4 inches at BHM makes this third snowiest December day in Birmingham history. 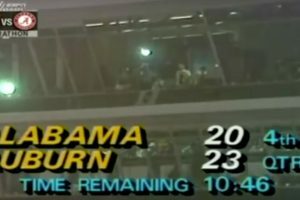 The 1983 Iron Bowl featured a great game and a tornado warning. 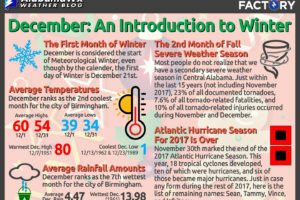 Welcome to the month of December, considered the start of “meteorological Winter,” even though on the calendar the Winter Solstice is at 10:28 AM CST on Thursday, December 21st. Its hard to believe that we are already on the 12th month of the year, and before you know it, 2018 will be here. 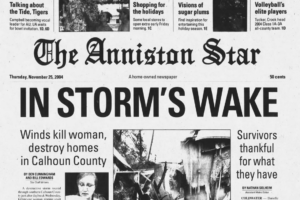 Monday, November 28th, 2005, turned out to be a relatively stormy day across Central Alabama, as a grand total of six tornadoes touched down, along with damaging winds, and large hail occurred. 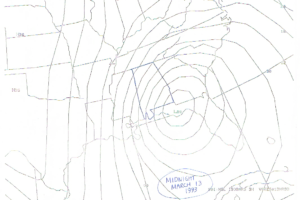 An unusually moist and warm air mass combined with a strong storm system brought severe weather to Alabama during a two-day period starting on the afternoon hours of November 23rd, 2004, and lasting through the 24th, the day before Thanksgiving. 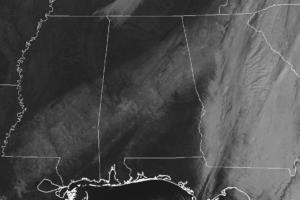 Alabamians were enjoying a balmy Thanksgiving Day on this date in 1950 when the Great 1950 Cold Wave turned it to winter in just a few hours.